In the scorching heat of the Caribbean Sea, workers in scuba suits scrub crude oil by hand from the hull of the Caspian Galaxy, a tanker so filthy it can't set sail in international waters. The vessel is among many that are constantly contaminated at two major export terminals where they load crude from Venezuela's state-run oil company, PDVSA. The water here has an oily sheen from leaks in the rusty pipelines under the surface. That means the tankers have to be cleaned before traveling to many foreign ports, which won't admit crude-stained ships for fear of environmental damage to their harbors, port facilities or other vessels. The laborious hand-cleaning operation is one of many causes of chronic delays for dozens of tankers that deliver Venezuela's principle export to customers worldwide, according to three executives of the state-run firm, eight employees of maritime firms that contract with PDVSA and Thomson Reuters vessel-tracking data. Other reasons include delayed repairs and impoundments by service providers that are owed money by cash-strapped PDVSA. Neither PDVSA nor Venezuela's Oil Ministry responded to requests for comment about the firm's maritime operations. The tankers sidelined for cleaning provide a vivid example of the firm's downward spiral: Lacking the cash to properly maintain ships, refineries and production operations - or to pay business partners on time - PDVSA can't boost exports, which is its only option for raising more cash. The lagging exports crimp the flow of cash back to the country's crippled socialist economy, as citizens struggle daily amid soaring inflation and shortages of food and medicine. Because Venezuela relies on oil for more than 90 percent of export revenues, the problems of its state-run oil company pose a national crisis. Venezuela's crude exports declined 8 percent to 1.69 million barrels per day (bpd) in the first quarter versus the same period in 2016, according to Thomson Reuters data. When oil prices were high, crude and fuel exports almost entirely financed an elaborate system of government price controls and social subsidies that maintained the popularity of late President Hugo Chavez, the socialist firebrand. Although embattled Venezuelan President Nicolas Maduro insists the government has maintained social programs, he has publicly acknowledged that lower oil prices have left the government with less money to finance them. Venezuela's Information Ministry did not respond to a request for comment about the nation's social spending. At oil export terminals around the world - where crude leaks like those in Venezuela are relatively rare - an oil-stained tanker would normally be taken out of the water and cleaned with industrial equipment in a dry dock. But Venezuela has just one small dry dock and lacks the cash or the time to send its soiled tankers there for proper cleaning, according to the PDVSA executives, ship captains and two workers from tanker cleaning companies. So workers on a small fishing boat clean the giant tanker with thousands of scrub-brush strokes. The work - which involves scouring ships above and below the water line - can take up to ten days per vessel, a worker involved in the cleaning said. In a scene witnessed by Reuters in April, workers wearing scuba suits baked on the deck of a small boat as they reached out with brushes to scrub the Caspian Galaxy, a tanker leased for one trip by a PDVSA customer. The workers labored just offshore from Amuay beach, near a tourist hub and PDVSA's largest refinery. The crews here have washed so many vessels in recent months that they have dubbed their operation "the boatwash". In nearby Maracaibo Lake - where tankers are stained at the export terminals - a scuba diver died in an accident this week while inspecting a leaking pipeline. Jose Bermudez, a 40-year-old father of two, drowned after the line connected to his air supply got tangled in the propeller on his boat, according to union representatives. The Professional Union of Scuba Divers and Marine Staff from Zulia state had previously requested that PDVSA replace the propellers with a different propulsion system, the organization said. A supervisor at PDVSA's Western division on Monday confirmed the accident but declined to answer further questions. PDVSA's maritime crisis is uniquely dire, said George Los, a senior tanker market analyst at U.S. ship brokerage Charles R. Weber Company. "I can't think of any situation similar to this anywhere else in the world right now," he said. Eighteen of the 31 oil tankers PDVSA owns were out of commission at the end of March, according to Thomson Reuters vessel-tracking data and six maritime industry employees, who spoke with Reuters on condition of anonymity. Several needed cleaning, while others need repairs, according to the data. To keep oil flowing, PDVSA leases more than 50 tankers - each at a cost of between $800,000 to $1 million per month, according to three captains and ship brokers involved in lease contracts with PDVSA and Thomson Reuters vessel tracking data. That is more than double the number of vessels it typically leases to complement its own fleet of tankers, according to the sources. It's a short-term fix that is driving up costs and exposing PDVSA to further detentions or seizures of vessels when it does not pay leasing fees on time. 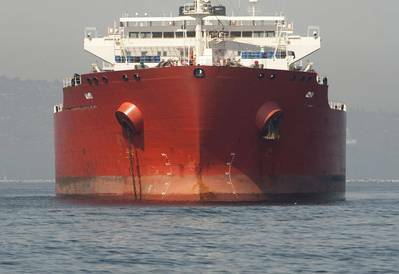 Several ship owners, exasperated by payment delays, have sought court orders to have the oil on board the tankers impounded, according to three sources involved in some of the disputes and a court document seen by Reuters. Russian shipping conglomerate Sovcomflot in October won a court order to seize a $20 million Venezuelan crude cargo from a Sovcomflot tanker as partial payment on a $30 million debt. The tanker was carrying crude to the Caribbean island of St. Eustatius. Sovcomflot did not respond to requests for comment. 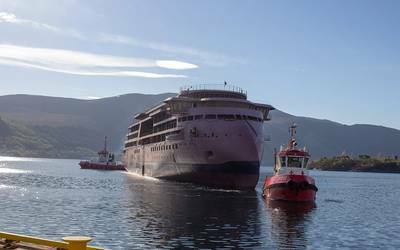 Six other PDVSA vessels are stuck in yards in Portugal, Turkey and Curacao, either for lack of payment or because PDVSA has not supplied the necessary parts for repairs, according to two shippers and an executive of a firm supplying equipment to PDV Marina, PDVSA's maritime branch. Most port owners have to pay fees if they delay tankers from loading or unloading at their docks. But PDVSA, which operates terminals in Venezuela, has traditionally refused to include such penalties - known as demurrage fees - in its contracts with shipping companies that move Venezuelan oil. At least five major shipping companies, however, are now pushing back on that practice, according to oil traders and contracts signed by PDVSA. The shippers now include a so-called "Venezuela clause" in their contracts. The penalties can be as much as $23,500 per day, according to recent shipping contracts with PDVSA seen by Reuters. One contract specifies that PDVSA must pay demurrage for delays resulting from workers strikes, the late arrival of tug boats and even for drug inspections - a nod to international investigations into Venezuela's role in the global drug trade. Some tanker-leasing companies and service providers also charge PDVSA above-market rates because of the risk of delayed payments, two shipbrokers told Reuters. Similar operational problems plague PDVSA's oil drilling and refining operations. Once the pride of the country's economy, the state-run firm saw crude production plummet last year to a 23-year low. The crisis has now reached the point where state-run PDVSA can't buy spare parts to keep oil fields pumping, pay workers enough to feed their families, or keep its tankers on the water, the PDVSA executives and maritime company employees told Reuters. The rising costs and falling exports, in turn, are depriving the firm - and the country - of the commodity it needs most: dollars.